Katherine Quarmby offers a critical framing of the stigma attached to sexuality and people with disabilities, both historically and today. The article draws on the work of Dr. Tom Shakespeare, author of the seminal The Sexual Politics of Disability. Eugenics’ hereditary ideas of “fit” and “unfit” bodies was crucial in creating the pervasive trope of “contamination” that Shakespeare identifies as one of four tropes surrounding sexuality and people with disabilities. Read Quarmby’s article in full. See also: Sins Invalid, a national performance project that uses performance art as a platform to reframe conversations about sexuality and disability through an intersectional LGBTQ and people of color lens. The State of Virginia has passed legislation that would offer financial compensation to victims of the state’s eugenic sterilization program, which forcibly sterilized over 8,000 Virginians deemed “unfit” to reproduce from the 1920s through 1970s. Reports indicate that only 11 surviving victims have been identified, and will each receive a $25,000 compensation. This makes Virginia the second state to address the crimes of forced sterilization through compensation. In 2012, North Carolina announced similar plans to compensate surviving victims of forced sterilization. Payments began in 2014, though the process has been riddled with red tape and loopholes that some say are preventing sterilization victims from receiving their proper compensation. 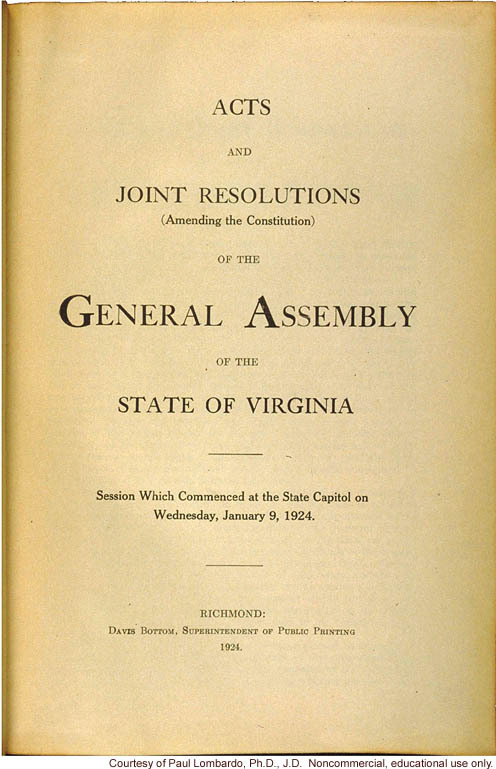 Virginia passed its Eugenic Sterilization Act in 1924, alongside a “Racial Integrity Act” which made it “unlawful for any white person in [Virginia] to marry any [person] save a white person.” Battles over the legality of the state’s sterilization law culminated in 1927, when the Supreme Court ruled eugenic sterilization constitutional in the infamous ruling in the case Buck v. Bell. Eugenics sterilization laws proliferated after the ruling. Eventually over 30 states adopted compulsory sterilization bills motivated by eugenics. 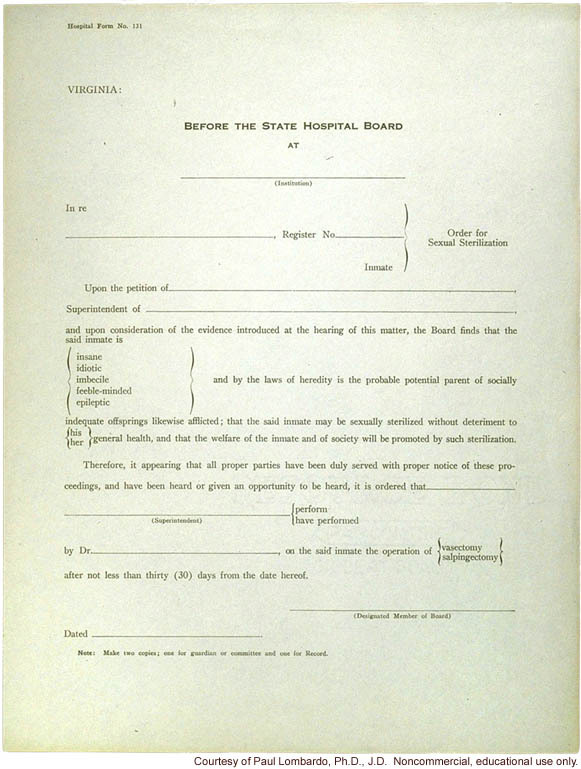 Though the eugenics movement fell out of popular favor with the onset of World War II, Virginia’s sterilization act remained on the books until 1979. In the 1950s, 60s, and 70s, the law was increasingly used to target Black women within the welfare system.